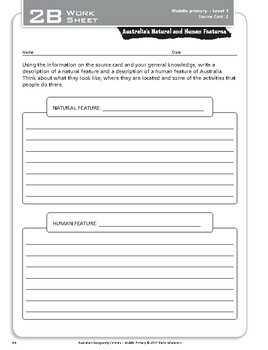 “Australia’s Natural and Human Features” Year 3 Card 2 Australian Geography Ctr. 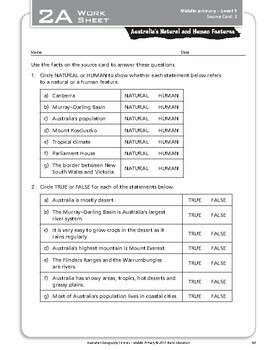 The Australian curriculum code for the corresponding content description is provided for every task. This card covers ACHASSI052, ACHASSI053, ACHASSI056, ACHASSI058, ACHASSI061.